Lock in a great price for Jashita Hotel – rated 9.4 by recent guests! The staff was great, the food was delicious, property was clean, room was awesome! Everything was perfect: the service, the facilities, the view, the food, the privacy, EVERYTHING!! This is a piece of paradise! We felt so welcomed that we will definetely visit again in the future! Great facilities and food. Fantastic service throughout. This was our last hotel on a tour of some of the finest hotels in Mayakoba and Tulum. The service here was the best, no question about it. Servers went out of their way to anticipate your needs and offered assistance at every turn. Simply outstanding! One of the many reasons why we chose Jashita was the yoga studio. I am a certified yoga teacher and practice most days and the studio at Jashita was beautiful. 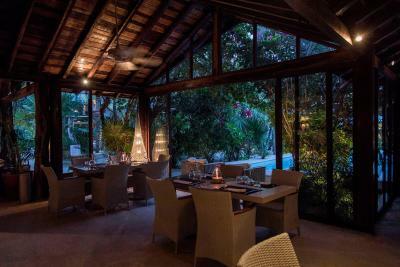 It’s right on the beach in a treetop setting with spectacular views. The quality of the instruction enabled beginners to advance practitioners to explore our own practices. It was the perfect start of a day. 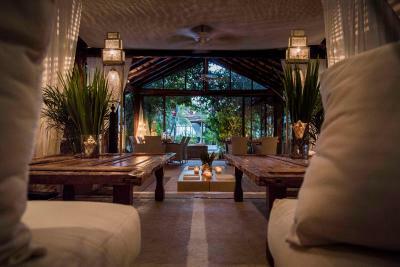 If your looking for excellent yoga, breathtaking views, the most attentive staff, delicious food, amazing snorkeling, gorgeous rooms, then you must check out Jashita. Loved everything about this boutique hotel and will be back soon! Intégrate envaroiment to the natural garden of the hotel. Gourmet breakfast included with plenty of variety. Real croissants, better than at most luxury hotels stateside. The service is warm and personal, the food is incredible, the quality of the room and beds is top notch. The staff and owners are wonderful. The overall design of the property is fantastic, serene, relaxing, modern and beautiful. Always the perfect lighting and music playing. The beach is beautiful, water is gorgeous, excellent snorkling. Everything about Jashita is incredible, the place is a gem. The size of the hotel was perfect, not too big, with beautiful views. The location was close enough to Tulum but far enough away that we had the beach to ourselves. The hotel is on a very calm bay, so it's perfect for swimming, snorkeling, kayaking, or paddle boarding. The food was delicious, and the breakfast selection was fantastic. The staff was friendly and attentive. Service was unparalleled. Amazing experience overall. Highly recommend this hotel. Jashita Hotel This rating is a reflection of how the property compares to the industry standard when it comes to price, facilities and services available. It's based on a self-evaluation by the property. Use this rating to help choose your stay! Located on a white-sand beach just 6.2 mi from Tulum, Jashita Hotel offers 3 outdoor pools, a bar-restaurant, suites with private plunge pools and a luxurious Penthouse with a sea-view terrace. All the air-conditioned accommodations at Jashita Hotel offers garden or sea views, fine Italian bed linen, cable TV and an iPod dock. Bathrooms include deluxe toiletries and a hairdryer. The hotel's Sahara Cafe serves local and international dishes. 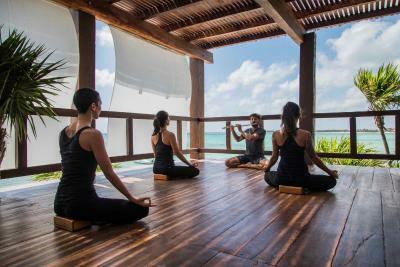 Staff at the Jashita can also arrange beachfront yoga sessions, snorkeling or scuba diving with a personal instructor. Free Wi-Fi is also available. The beautiful Mayan ruins of Tulum are just 6.2 mi from Jashita Hotel. Dos Ojos Cenote is only 3.1 mi away, while Xel-Ha Ecological Park is 5.6 mi away. You can drive to Cancún Airport in less than 90 minutes. When would you like to stay at Jashita Hotel? These suites offers a private terrace with plunge pool and views of the garden or sea. Located on the ground floor with tropical view, on the first floor with partial ocean view and on the second floor with full ocean view. Each suite features fine Italian bed linen, a sitting area with cable TV and an iPod dock and an elegant bathroom with deluxe toiletries. A free bottle of wine and chocolates are provided on arrival, plus breakfast included. Beachfront Suites with ocean view. These stylish suites have private terrace. Each suite features fine Italian bed linen, a seating area with cable TV and an iPod dock and an elegant bathroom with deluxe toiletries. A free bottle of wine and chocolates are provided on arrival, plus breakfast included. This luxurious suite offers 2 large terraces with sea views and 1 private plunge pool. It features fine Italian bed linen, a sitting area with cable TV and an iPod dock and an elegant bathroom with deluxe toiletries. A free bottle of Italian sparkling wine and chocolates are provided on arrival. •	Comfortable living area, with stunning view of the forest and ocean. •	Inside Connecting door but each room has independent entrance. •	Private access to the Roof Top to fully enjoy the experience of having the top terrace with the breathtaking pool and bar all by itself. •	Private assistance of a Butler, chef and waiter. Meals and drinks not included. House Rules Jashita Hotel takes special requests – add in the next step! Jashita Hotel accepts these cards and reserves the right to temporarily hold an amount prior to arrival. Please note that the full prepayment is required upon reservation and the charge on your credit card will be made during the following days under the name of Jashita Hotel from Prague. Property kindly asks guests to inform your bank before the charge is made in order to avoid any rejection due to the charge will be made from Prague, Czech Republic. At present problems with neighbour. Need to sort. As causing noise issues which spoil guests’ enjoyment of lovely hotel. Excellent food. Marvellous service. Menu excellent and pasta handmade. Bbq eve good. Fool always v good. Staff fantastic. Clemente v v entertaining. Rooms lovely. The only negative of this place is that the waiters are too attentive. They are not “waiting” (as the word waiter implies) but rather constantly asking if everything is ok, if you want something more and so on. It creates a lot of unnecessary interruption. Instead they should be standing visible on sight, waiting for the customers to waive or otherwise call on their attention. The hot water was sketchy and then disappeared on us for a few days. The staff were not entirely successful in fixing it but they did their best to accommodate us. Beautiful property with great ocean access and three pools, one on a rooftop with a great view of the area. Lots of menu choices with very decent food. The staff were accommodating and friendly. If you want peace, quiet and beautiful surroundings away from the Tulum “strip” this is for you, but it is a 15-20 minute taxi ride into the Tulum “strip” if you want to be where all the action is. We stayed in Tulum-proper 2x - this was our first time away from all the action. Not sure if we would do it again, as we liked to be able to walk to our favorite restaurants, yoga and boutiques, but we loved the property and the experience. Entrance to the property was a long dirt road with many potholes. It gave a negative first impression of hotel, which is a shame because everything else about hotel is outstanding. Perhaps owners could lay down gravel to make entrance more appealing. There is a second rooftop bar and pool which was sadly closed during our entire stay. A really lovely property with conscientious staff and a wonderful swimming pool. Jashita benefits from direct beach access (with service on the beach) and a lovely rooftop bar. They also provide guests with free sangria during the hours of 1pm-2pm - a really nice touch. 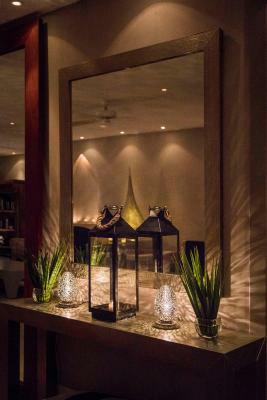 The best hotel in the Riviera maya. Only taxi price .... It was quite expensive. What a excellent hospitality !! All stuffs we're caring us so well. They made us to feel so special . Private beach are so good, quiet and we could see quite lots of fishes. Hotel are so beautiful decoration , Our favorite was their breakfast !!! They took individual order ! Amazing !!! Need a phone in the room to contact staff or concierge.